Who IS ISO Quality Services Ltd? We are an independent organisation specialising in helping SMEs improve their businesses through the implementation of ISO and BS EN Management Standards. We simplify the entire process from initial assessment through to certification and beyond. 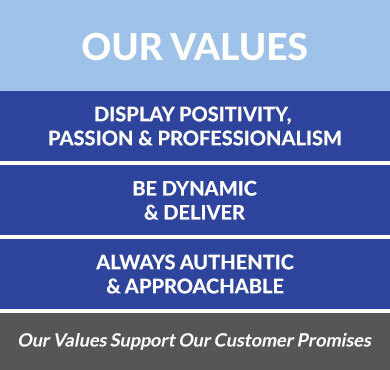 We believe that standards should support an organisation’s day-to-day operations. Our experienced auditors always ensure that our clients’ processes and procedures are well documented and fit-for-purpose. We provide as much or as little support as each individual client requires. In addition to auditing, we also provide training and consultancy services to help our customers maximise the business benefits of compliance, such as improved customer satisfaction and a company-wide ethos of getting it right first time. We practice what we preach and are externally audited to the ISO 9001 standard. Our core company value ‘ISO Certification Kept Simple’ is intended to take away the stress that is sometimes associated with the implementation and management of the ISO standards. Our main priority is the satisfaction of our customers and we pride ourselves on our approach to our clients. As such 99% of our client base rated us as good or above. We have a high customer retention rate and aim to continually improve our service year on year. Please take a look at our Case Studies for comments from our clients. We understand that the implementation of an ISO standard can sometimes be viewed as a long and laborious process, however with ISO Quality Services Ltd. you will achieve certification within 6-8 weeks. We work with you and the rest of the work force to ensure the systems are incorporated fully into the business in the most time effective way. By ensuring we understand your organisation, the way you are structured and the current systems in place we keep your business and its success at the forefront of our minds at all times. One of the first steps in your Management System transition or implementation project is to compare your current systems to the requirements of the ISO / BS standards. On receiving your instructions, we will arrange for one of our senior assessors to spend some time with you to undertake an in depth analysis of the activities of your business that directly affect the required standard. A detailed action plan for the entire project is then drawn up and agreed. We then leave you in peace to continue with your normal activities while we prepare your Manuals and all other relevant documentation. These documents are then presented and explained to you and any non compliance remedial action is verified. You will then be presented with your ISO / BS certificate, manuals, logos and your registration number. We can also provide you with decals for company vehicles and we offer a marketing pack so you can promote your achievement. The Certification process takes approximately six weeks from initial assessment. Once certified you are provided with on-going telephone/email support. The standard is then monitored by our auditing partner, who will conduct an internal review after six months and the validation audit annually.